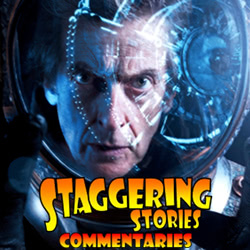 02:48 — Doctor Who: New First Doctor audio boxsets. 06:20 — Star Wars: Episode IX inevitable production drama. 08:46 — Hellboy: New non-whitewashed casting. 13:33 — Wonder Woman 2: Director named. 14:36 — Doctor Who: BBC America leaks Christmas synopsis. 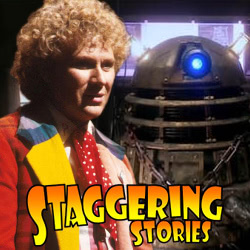 18:17 – Doctor Who: Jubilee vs Dalek. 48:05 – Things in Five Words. 55:06 – Emails and listener feedback. 60:25 – Farewell for this podcast! 62:09 — End theme, disclaimer, copyright, etc. Big Finish: Doctor Who – The First Doctor Adventures. BBC: Doctor Who – Dalek. Big Finish: Doctor Who – Jubilee. 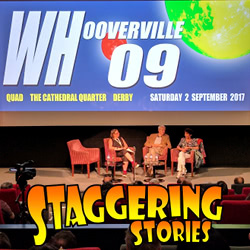 Adam J Purcell, Andy Simpkins and Keith Dunn sit down, hypoxiated, in front of the 2017 Doctor Who S10 episode, ‘Oxygen’, and spout our usual nonsense!